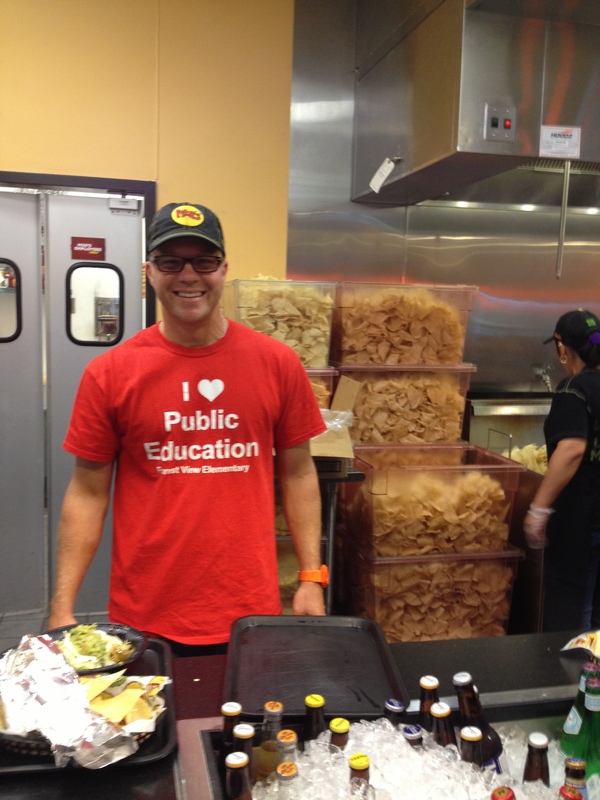 Teachers, students, and families gathered tonight at Moe’s Southwest Grill at Patterson Place in Durham to support our first Dine Out for Forest View event this year. Moe’s donates 20% of the profits earned between 4-9 pm tonight to Forest View. Kindergarten teacher Mr. Barnhill helped behind the counter! Thanks to everyone who came out tonight. And thank you to Moe’s!